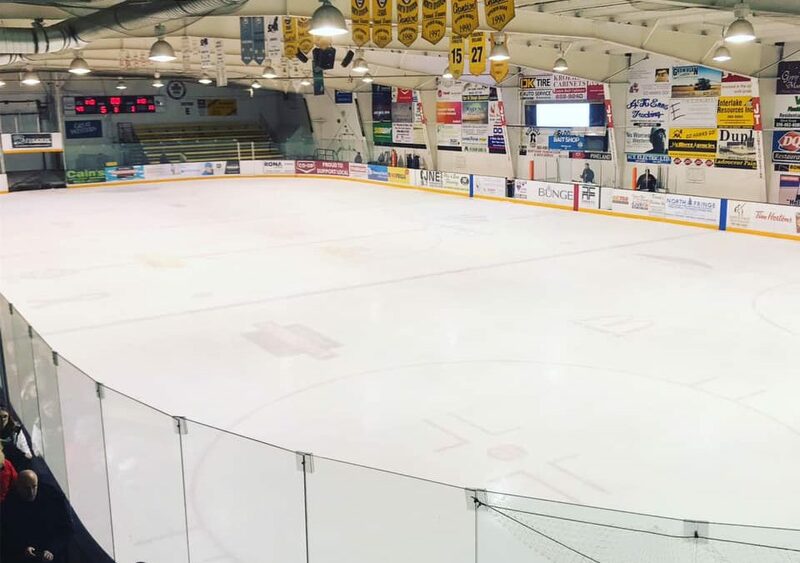 The La Ronge Ice Wolves Ice Wolves were looking to end their weekend on a winning note in Nipawin Saturday, but it was the Hawks prevailing with a 5-1 victory. The Hawks opened the scoring 13:26 into the first period when Michael Makarenko beat Jordan Frey upstairs with a wicked shot. La Ronge tied the game at one 15:59 into the stanza when Antoine Dumoulin fired a seeing-eye wrister from the right point upstairs past Declan Hobbs for his first goal in the SJHL. The Hawks restored the lead 7:19 into the second frame when Jaxen Wiebe beat Frey through the wickets, which gave Nipawin a 2-1 advantage. The Hawks went up 3-1 on the power play 15:25 into the frame when Walker Cote wired a rocket past Frey in the right circle. Carson Erhardt and Michael Makarenko would both tally in the third period as the Hawks completed the weekend sweep and continued their dominance over the La Ronge Ice Wolves. Nipawin has now won 16 straight games against La Ronge. La Ronge’s last win versus the Hawks was Feb. 27, 2016. The Hawks outshot the Ice Wolves 49-13 on Saturday night. If it was not for Jordan Frey, the damage could have been a lot worse. With the loss, the Ice Wolves slipped to 10-31-1-1 on the season, which has them sitting in last in the overall standings and 10 points back of the Melville Millionaires for the final playoff spot. The Ice Wolves have dropped their last three contests and they will be looking to rebound on Wednesday when they begin a three-game swing in Humboldt versus the Broncos. The Broncos took the first meeting 2-1 back in October in Humboldt. You can catch the action Wednesday live on MBC Network Radio with Braden Malsbury, the pre-game show begins at 7:15 p.m.